Finally, a post specifically about Aachen! I took a long walk the other day through the edge of the city, planning to walk all the way to the Dreiländereck at Vaalserberg, but I didn’t quite make it there. But that was nothing compared to the herd of cattle (including an adorable calf!) that wandered past as I got a little farther toward Friedrichswald. At this point I was walking on a small, narrow street. I kept thinking about what would happen if a car came driving toward me. You can see the tire tracks at the bottom of the previous photo—the road was barely one car-width across, and beside the road it sloped sharply upwards. No cars came, though, and I was focused more on watching where I stepped. 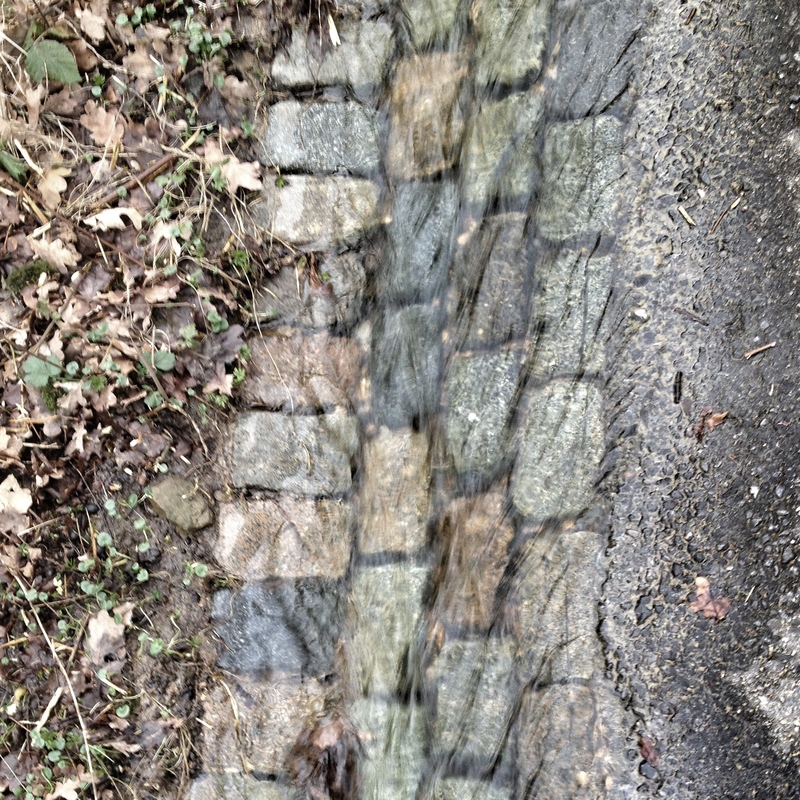 Water from the melting snow and rain was washing down a stone gutter on one side of the road. Actually, it looks like this is part of a fairly beautiful path to walk in the spring: Philippionsweg. I guess now I will have to come back and check it out!